The country’s leading independent publishing company, Alpha Media Holdings (AMH), today scooped seven awards for various achievements in the media industry at a colourful ceremony organised by the Zimbabwe Business Awards Council. The awards ceremony held in Harare and attracted various captains of industry saw AMH coming out tops in the print and publishing media services industry, with the award winning, NewsDay winning the Online Publication Of The Year and The Standard being accorded the Business Newspaper Brand Of The Year. NewsDay Editor Wisdom Mdzungairi and marketing officer, Loyola Nyangoni won top accolades for their sterling work in upholding the publication as a platform of excellency marketing and reportage. 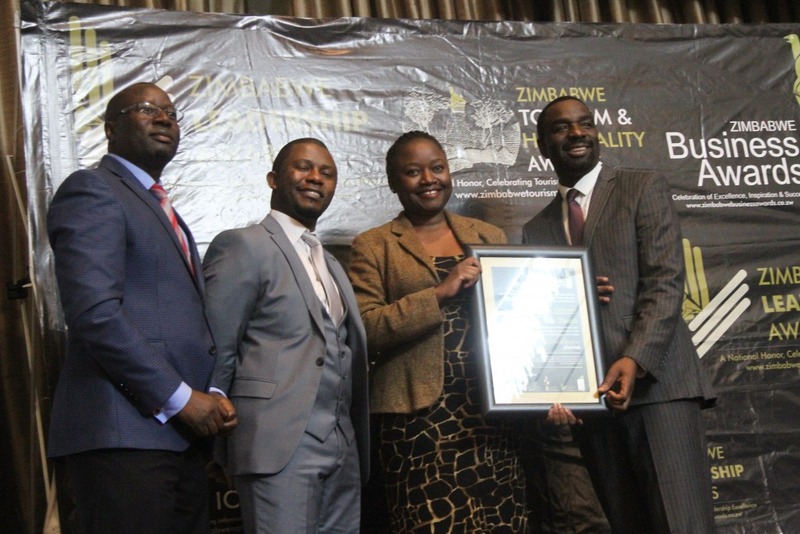 AMH chief operations officer Kangai Maukazuva, human capital general manager Edith Kayinga and Hope Chibanda, finance director were also honoured for keeping the media house afloat in a turbulent economic environment. Zimbabwe Business Awards Council interim president Enrico Sibanda said it was important to recognise business and business leaders who excel under challenging circumstances, as a way of motivating and promoting brands making positive contribution to the Zimbabwean economy. “These awards exemplify the best in business leadership, and they optimise the core values of a successful leader in strength, innovation and ingenuity, which are values important in driving any business in a global economy. “Our mandate and our vision is to appreciate people and business, let us celebrate and appreciate one another, and desist from the pull him down syndrome and begin appreciating one another,” Sibanda said. Other notable individuals who walked away with awards included Zimbabwe Energy Regulatory Authority CEO Gloria Magombo, Associated Newspapers of Zimbabwe, publishers of Daily News, The Herald and high-flying musician Jah Prayzah. Hi there, just became aware of your blog through Google, and found that it’s truly informative. Numerous people will be benefited from your writing. Cheers! Cool info! Interesting tips over this web. It is pretty worth enough for me. Personally, if all website owners and bloggers made good content as you did, the internet will be a lot more useful than ever before. I could not refrain from commenting. I’ve spent some time searching for such informations. I will also share it with some friends interested in it. I have just bookmarked this website. Thank you very much!! Greetings from Florida! You’ve done a great job with Advisory Excellence. I will definitely recommend to my friends. I am confident they will benefit from using this website. Advisory Excellence is wonderful! The overall look of your website is really professional. I’ll be sure to visit AE again soon. It’s my first time visiting Advisory Excellence. Genuinely great site.